The Associated Press revealed more details Monday morning about Costa Rican involvement in the United States Agency for International Development’s covert anti-Cuba operations, including the use of HIV-prevention workshops as fronts for recruiting pro-democracy activists. The wire service’s report led with the involvement of Costa Rican citizen Fernando Murillo, the 29-year-old founder of Fundación Operación Gaya Internacional in Heredia, north of the capital, and his work recruiting political activists critical of the Cuban regime. Murillo was hired by Creative Associates International, a Washington, D.C.-based company that was responsible for the controversial “Cuban Twitter” program, ZunZuneo, the AP reported in April. A report from Murillo’s group called an HIV-prevention workshop a “perfect excuse” to recruit anti-Castro activists, according to documents from the AP. Operatives from Costa Rica traveled to Cuba under the guise of tourists and visited Santa Clara, a city three hours from Havana. Murillo reportedly checked in with USAID handlers every 48 hours with updates and used coded language. According to documents obtained by the AP, the program’s ulterior motive behind the HIV-prevention workshops was to teach would-be critics of the Castro regime how to organize themselves. Manuel Barbosa, a founder of a group Murillo approached in Santa Clara, told the AP that Costa Ricans never identified USAID as their employer. Costa Rican operatives reportedly focused their efforts on the HIV workshops while Peruvian and Venezuelan participants visited college campuses. Nearly a dozen young people were reportedly involved in the program. The AP report leveled a scathing critique of the Costa Rica-based program, noting that Cuban authorities became suspicious of the travelers, asking who had paid for their trip, and that there was no plan to help the young participants if they were arrested. Cuba considers all of USAID’s democracy promotion work to be subversive, punishable by up to 10 years behind bars, the AP reported. The article said the program continued even after the arrest of USAID contractor Alan Gross, a U.S. citizen, in 2010. Murillo traveled to Havana in April 2010 despite a USAID email that warned contractors from traveling to the island. Murillo traveled to Cuba three times between April 2010 and June 2011 for Creative Associates when the USAID-funded group reportedly asked him to deliver money, collect reports and help arrange exit visas. USAID and the Obama administration are committed to supporting the Cuban people’s desire to freely determine their own future. USAID works with independent youth groups in Cuba on community service projects, public health, the arts and other opportunities to engage publicly, consistent with democracy programs worldwide. Psaki also refused to compare USAID’s dual purpose behind the Cuban workshops with the Central Intelligence Agency’s use of health clinics as a front for operations in Pakistan. Foreign Minister Manuel González told reporters that he did not have enough information about the case as it involved Costa Rica and declined to comment Monday afternoon during a press conference. Following the AP’s original reporting on USAID and anti-government activities in Cuba, the administration of former President Laura Chinchilla denied knowledge of the country as a launching point for anti-Castro activities. It does not appear correct to the Foreign Ministry that embassies launch actions from Costa Rica that affect another country. We cannot approve this in any case. This is not good. 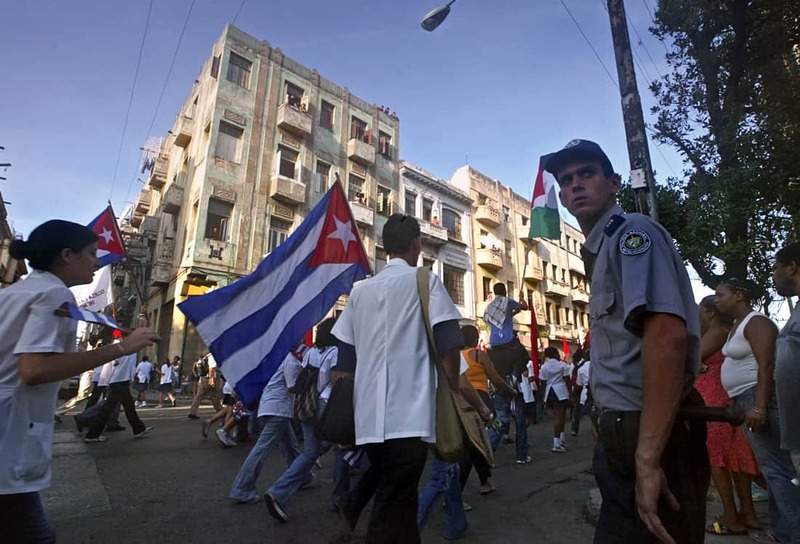 The AP reported that there was no evidence that the program’s efforts advanced the pro-democracy movement in Cuba. See supporting documents from the AP’s reporting here.